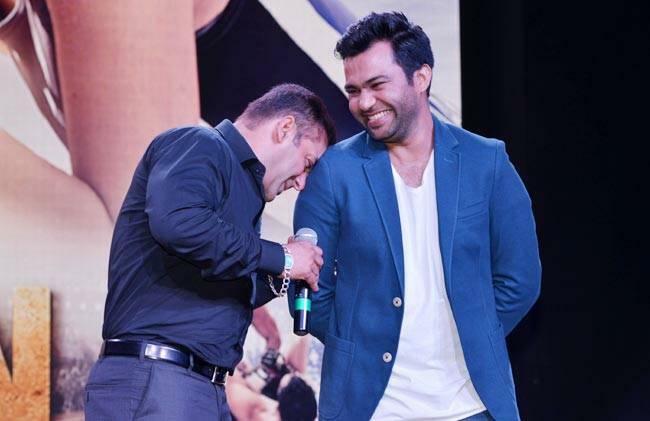 Salman Khan will be collaborating with Ali Abbas Zafar for the third time for Bharat. Ali Abbas Zafar had set a benchmark for young filmmakers after massive success of Tiger Zinda Hai. So far till the age of 36, Ali has directed four films, out of which two have minted more than Rs 300 crore. Making his debut with Mere Brother Ki Dulhan which received lukewarm response at the box office, Ali went on to make Gunday, Sultan and then Tiger Zinda Hai. Crossing Rs 500 worldwide, TGH is not only Salman's biggest film but also Yash Raj Films' highest grosser till date. With Tiger Zinda Hai, Ali has shattered his own records set by Sultan. He is said to be quite close to Salman Khan and Katrina Kaif. While he has made two films with Salman, Katrina was his first leading lady. In an exclusive chat with indianexpress.com, Ali opened up about his back to back blockbusters. ''The money is not coming to me, it’s coming in the industry. I just feel that the money corresponds to the number of people who have seen your film. As a filmmaker you only feel empowered when the story you conceived or your thought process is getting connected with your audience. Somehow I think that is the bigger success for a filmmaker,'' he said. Ali was born in Dehradun, Uttarakhand. His father was in army and mother was a teacher. After completing his schooling, he moved to Delhi for higher studies. However, soon he felt that this is not the thing he wants to do. He moved to Mumbai and became an assistant director in Marigold and Jhoom Barabar Jhoom. After stint at YRF, he directed his first movie Mere Brother Ki Dulhan in 2011. Talking about his first actress Katrina, he said that she is a very underrated actor. ''I always say that Katrina is a very underrated actor. I think people don’t push themselves too hard to work with her, or on her. With both my films (Mere Brother ki Dulhan and Tiger Zinda Hai) I personally think her performance got registered as people related to her. When I was working with her after six and a half years, I felt she has matured,'' said Ali. Talking about his close association with Bollywood biggie Salman, the director says that his relationship with the Sultan star is like that of a younger brother. And, that's probably the reason he can push him to do things which maybe several others cannot. ''I personally think he is one of the very few people in the industry who’s very honest, who is like ‘what you see, is what you get’. And I am somewhere exactly like that. He is so senior to me so my relationship with him has always been like that of a younger brother. We don’t have a director-actor relationship. So when that happens, I can push him to do things which maybe a lot of filmmakers won’t be able to do,'' said Ali. Salman will be collaborating with Ali for the third time for Bharat.